This is a spectacular IWC automatic 1960’s watch in stainless steel, housing the fine caliber 8531 automatic winding IWC movement which was just cleaned and accurate. The original logo crown is still present. The steel 35mm. case is absolutely shimmering. 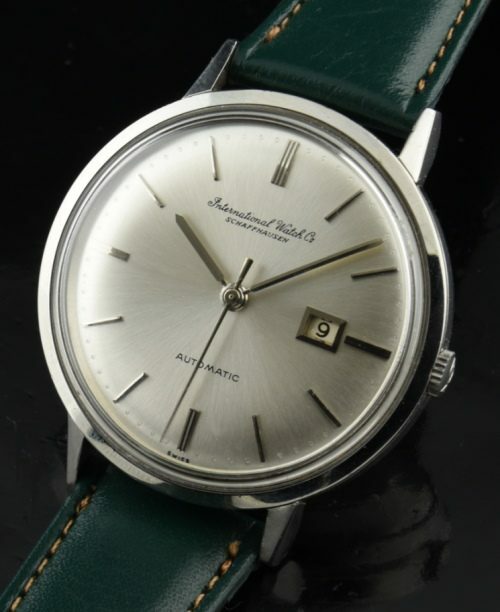 This dial looks pristine and is VERY hard to tell it was restored-and looks amazing. If you want a black or brown leather band, please let me know and I will switch it. These watches are truly undervalued in my opinion. Wear this daily for a lifetime!